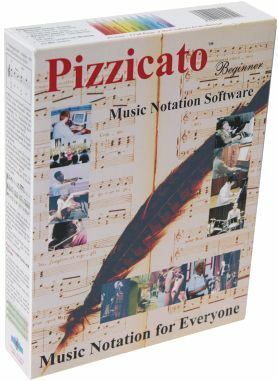 It is a single evaluation version to explore all versions of the Pizzicato music software. 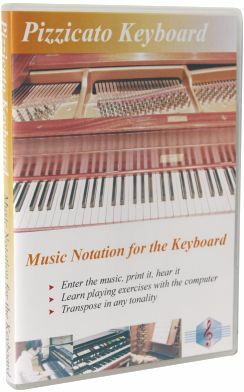 It is available for Windows (XP/2000/Vista/W7/W8/W10) and Macintosh (Mac OS 10.6 or more recent). 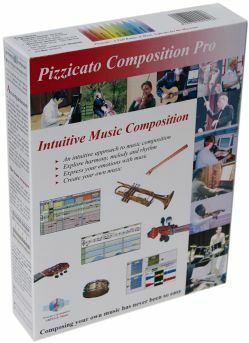 This demo version gives you access to the evaluation versions of Pizzicato Light, Beginner, Professional, Notation, Guitar, Choir, Drums & percussion, Keyboard, Soloist, Composition Light and Composition Pro. You can use them freely to test the software before you buy it. Printing, saving and exporting are disabled. 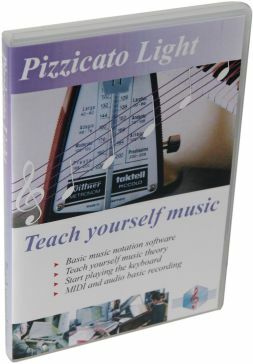 Moreover, this demo contains also a shareware version of Pizzicato Light that you can freely use during one month, including printing and saving! 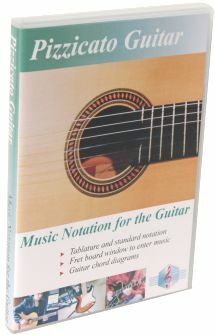 The printing quality being the same for all versions, test at home the printing quality on your printer with the shareware version. 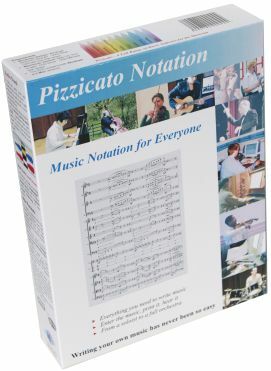 ... with Pizzicato, after installing the demo version, you can have access to the full user manuals of all versions of Pizzicato. 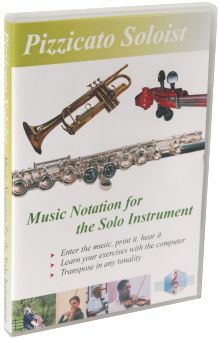 Moreover, if necessary you can learn music with them! Software publishers often provide a demo version, but specify that this version does not give access to the technical support. 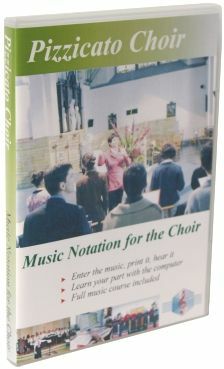 Therefore in the event of a problem of understanding or of installation of the demo version, you find yourself alone. 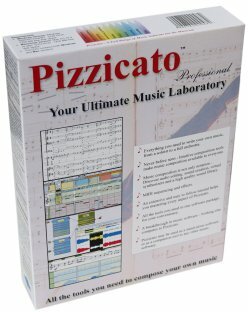 With the demo version of Pizzicato, we give you access to the full technical support of Pizzicato! The only condition to access the full technical support for the demo version is to fill in your e-mail address below correctly. You will then be able to test for yourself what we mean by technical support. 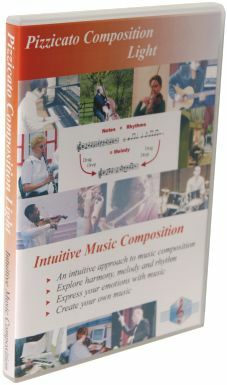 Click the "Go to the free download page!" 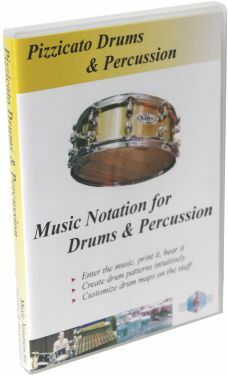 button below and you will be able to download the demo version. or modify any information about you in our files. and emails related to our products. sold, rented nor given to third parties. please do not fill in this form. from our list. We will respect this in any circumstance.